It's Pink Week at I Heart Faces in honor of Breast Cancer Awareness Month. This week the challenge required a face, and the color pink. Seej has one of the most beautiful faces I've seen, and she happens to love the color pink. So in honor of Breast Cancer Awareness Month, Seej and I are both thinking of our friends and family who have suffered from this disease and praying for a cure. Click the link below to see the other pink entries at I Heart Faces. Seej looks beatiful in pink. LOVE IT! 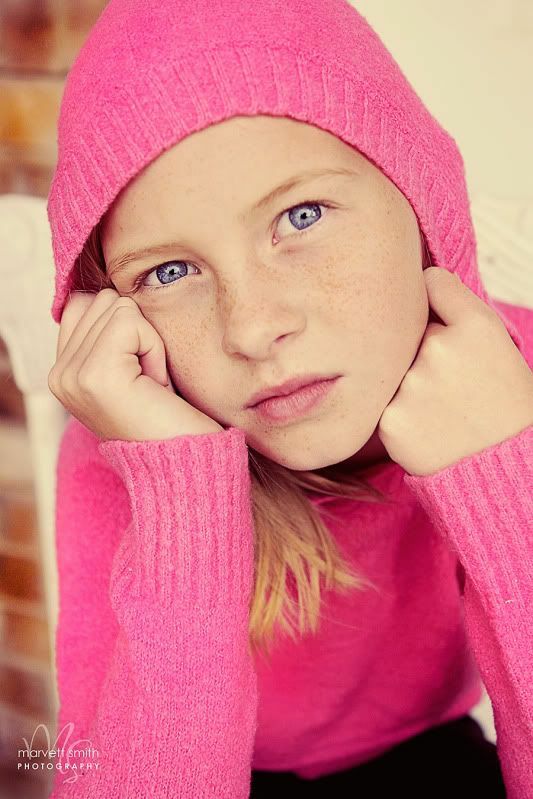 Her gorgeous face, bright blue eyes and pink sweater are great! You're always so sweet to me, thank you. Love this one! Her eyes with the pink hoodie look so great! lovely pic :) I really like it. What a gorgeous picture! Those eyes are amazing! So beautiful! It's definitely a Top Ten winner in my book. Nice job. she is so beautiful, stunning eyes! A beautiful photo of a beautiful gal in pink! This is absolutely GORGEOUS! Seriously, I love it! What an awesome shot. Love everything about it. This is a really beautiful shot! Seej is a doll! Lucky for her she has a talented mom to capture her beauty... wonderful! AWESOME picture. I love the way her eyes pop with the pink hoodie. What a wonderful picture. I am in Utah as well. Your work is awesome, and those pumpkin cookies you made look equally amazing! Love it! What beautiful eyes! WHat a great shot - those eyes are gorgeous! Wow, her eyes are just stunning! What a beautiful girl! Her eyes are gorgeous! so gorgeous! those eyes are stunning!